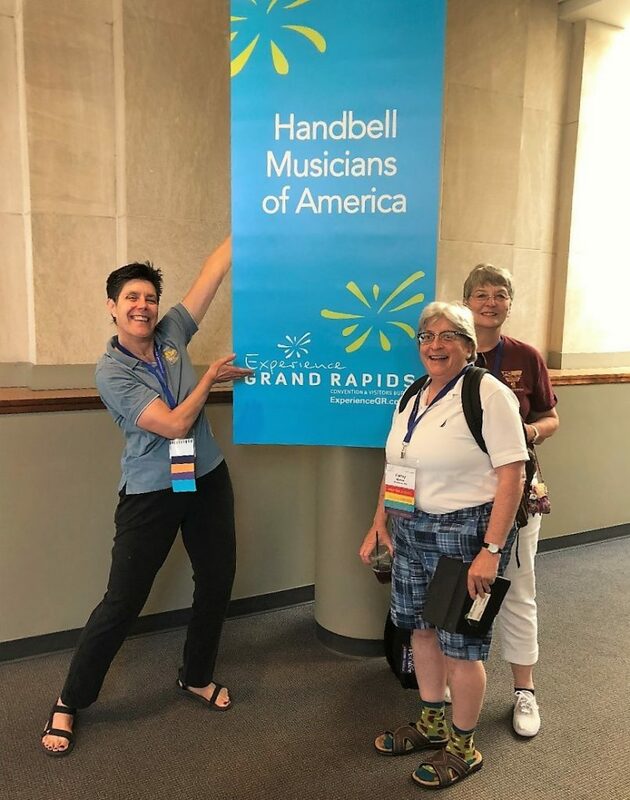 Area 1 was well represented at the latest Handbell Musicians of America National Seminar 2018 from July 17-21 in Grand Rapids, Michigan. 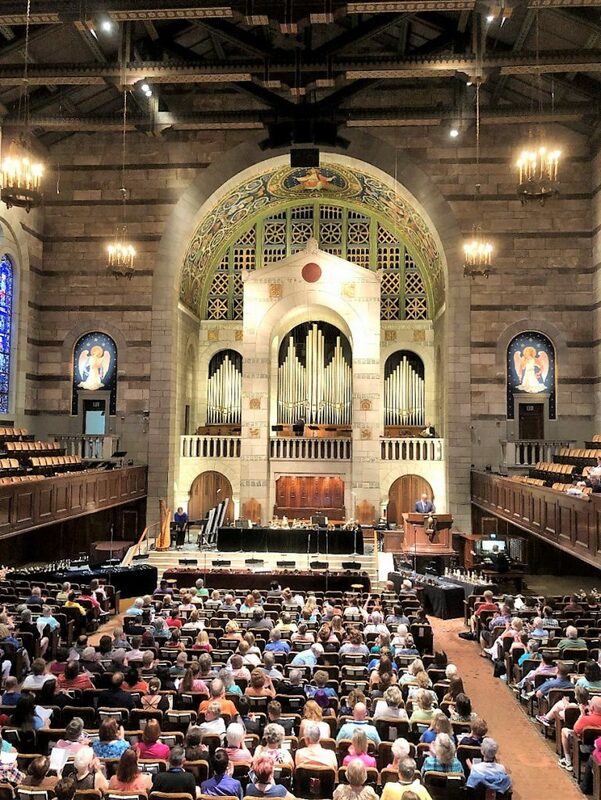 The magnificent Fountain Street Church, where the Chancel Bells from Downers Grove, IL performed. 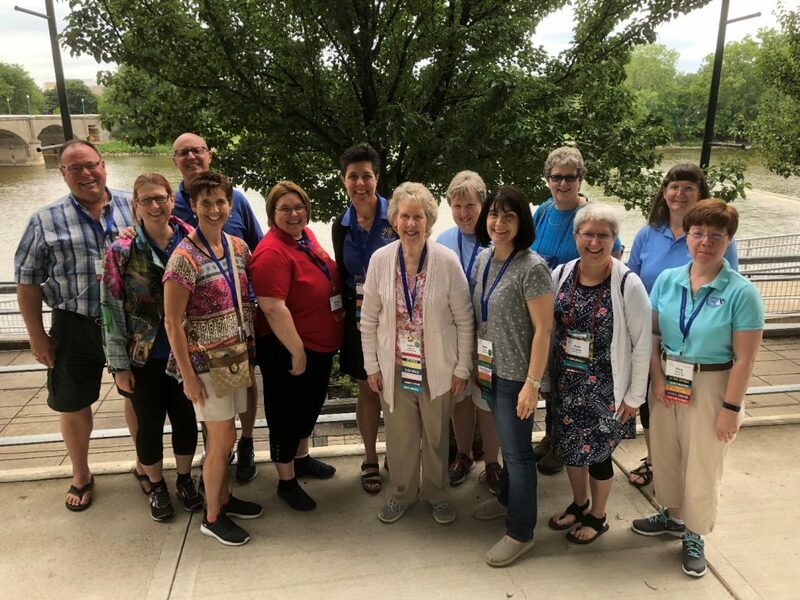 Karen Van Wert (Area 7 chair) leading a class on teaching techniques. 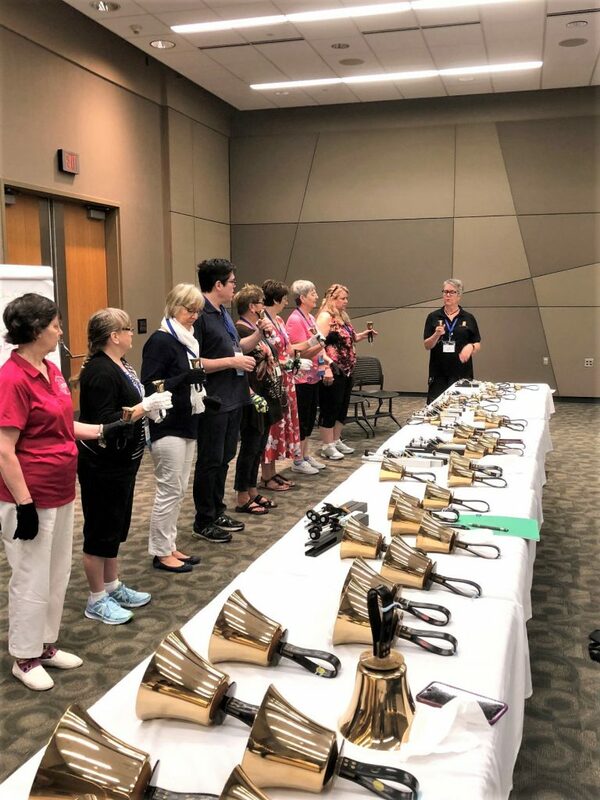 Here she is demonstrating a way to teach a choir how to pass a bell by passing up and down the line. 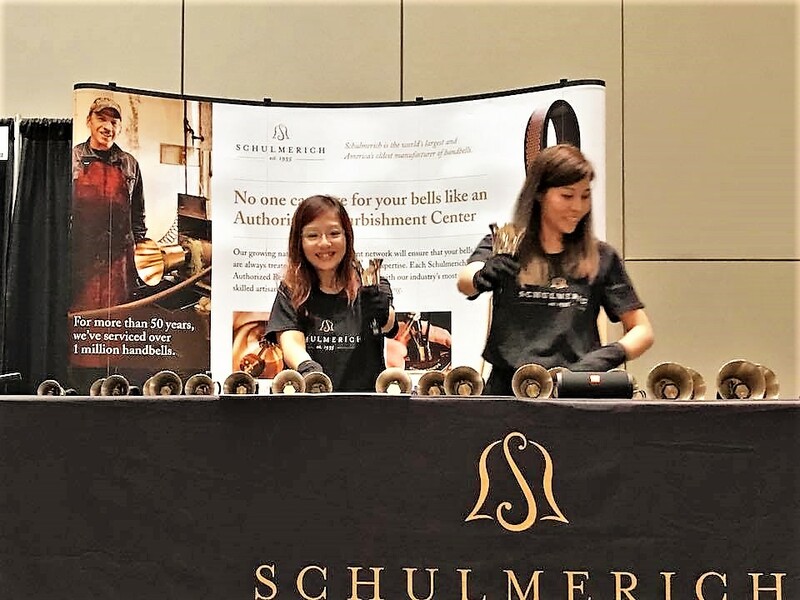 Jessica Lok and Christine Chan from “Bellprints HK” at the Schulmerich Showcase. 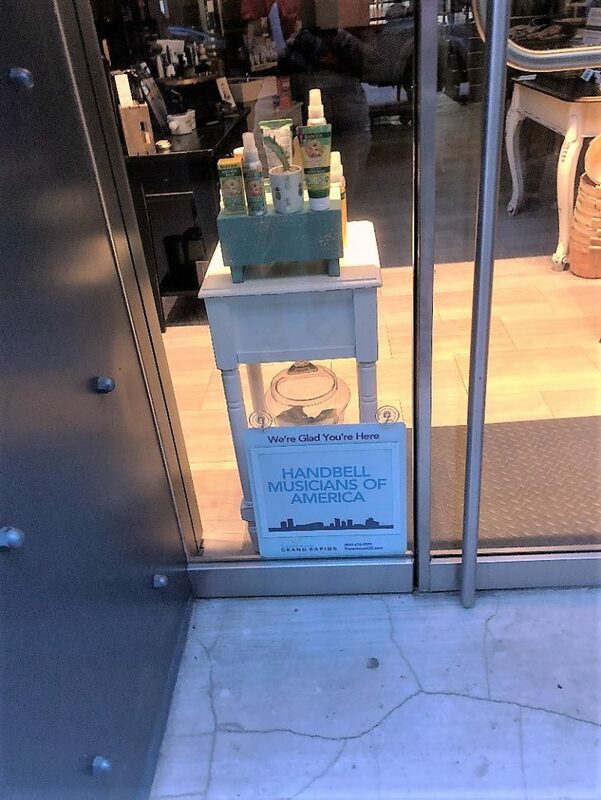 Bellprints – HK is a quartet of 4 ladies from Hong Kong. 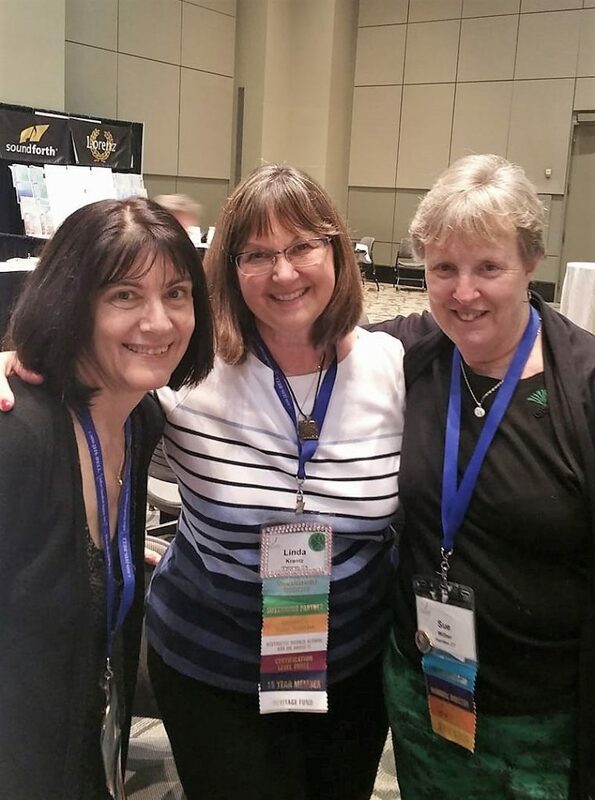 Susan and Sue took time to catch up with long-time friend Linda Krantz.